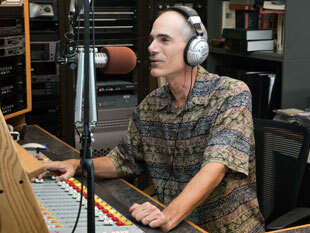 I've spent most of my career in radio, announcing, producing and providing voice work. Right now I'm the evening guy at Discover Classical. The arts are my life. I've been a writer for radio legend Gary Burbank for over twenty years. I've also performed stand-up comedy and am currently writing a stage play to submit to Futurefest.